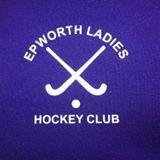 Epworth Ladies HC are searching for players from the age of 13 upwards to join both out first and second team. We are also searching for a part time coach. The coach could be someone new to coaching who wishes to gain experience or someone who needs to complete portfolio hours. Our training times are 7-8.30 Thursdays at Trinity Academy, Thorne, Dn85by.